Autism Berkshire’s Reading Games Club is a big winner as a result of the Rotary Club of Reading Abbey’s 2018 Englefield 10k Run. 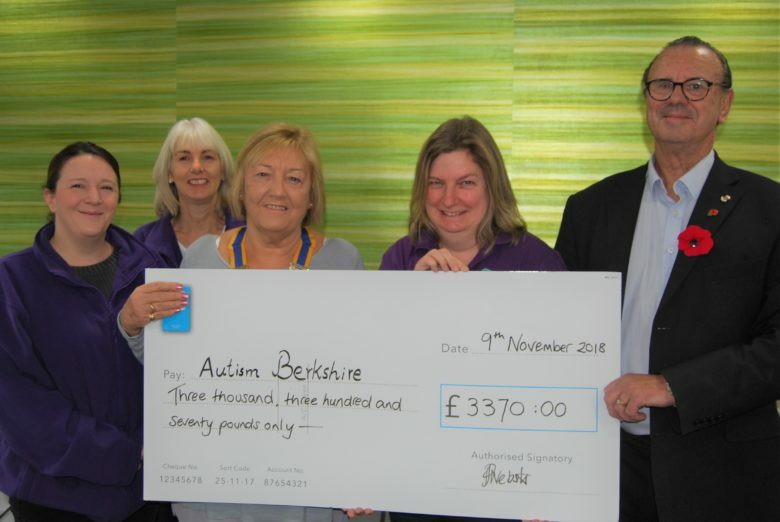 The club’s president, Sue Roberts, and community service officer, Paul Webster, visited Autism Berkshire’s office in Reading on Friday, November 9, to present a cheque for £3,370 raised by the 10k run held at the Englefield Estate in August. We were chosen by the Rotary Club to be the main beneficiary of this year’s event. The money will be used to help fund the Games Club, which is for autistic children aged eight to 15. The club meets fortnightly on Saturdays at Emmer Green Youth & Community Centre. Sue said: “We’re delighted to be able to present this large amount to Autism Berkshire, which is a very worthwhile charity. Autism Berkshire’s chief executive officer Jane Stanford-Beale said: “We’re very grateful to the Rotary Club and everyone involved with the Englefield Run for raising so much money. The run took place on the August Bank Holiday weekend on Sunday, August 26, around a multi-terrain course at the Englefield Estate, near Theale. Alongside the 10k run, there was a 3.5-kilometre course for under-15s. The Rotary Club organises the annual event with the help of the Tadley Runners. Pictured with the cheque are, from left, Autism Berkshire’s administrator Georgie Mitchell, parent support worker Julia Cox, Sue Roberts, Jane Stanford-Beale and Paul Webster. Click here for more information about the Englefield Run and a link to an album of photographs taken during the 2018 event by Peter Cook. 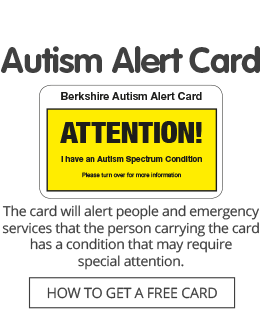 Click here for details of the Reading Games Club and all Autism Berkshire’s other leisure and social activities.